As a Corporate entity supported by its mission to become the most preferred total financial services provider, the LOLC Group is aware of the impact of its businesses on the people and the environment it serves. 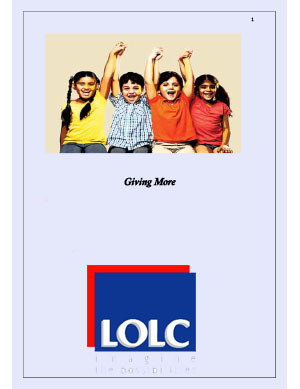 Hence, in all its financial and non financial transactions, LOLC has consciously adopted ethical and sustainable measures in all its business practices. 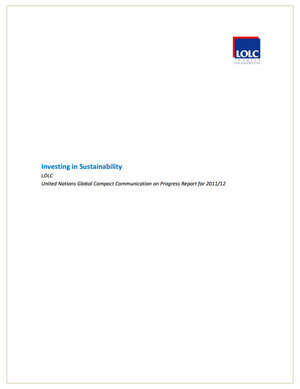 Even though many of LOLC’s social and environmental sustainability measures have not been exposed to the public, looking at our green ventures such as re-establishing the Gal Oya plantations and establishing the United Dendro Energy project for instance, one can clearly see that sustainability in the LOLC Group is 'serious business'. 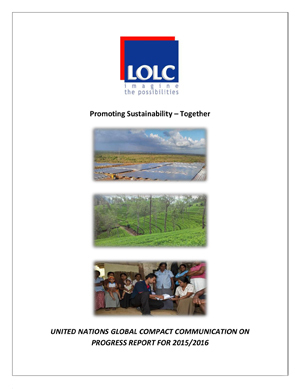 In 2008, LOLC became a signatory to the United Nation Global Compact (UNGC) strategic policy initiative which seeks to promote sustainable and responsible businesses throughout the world. 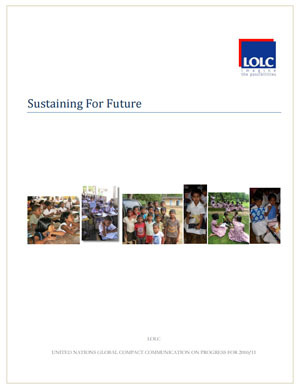 As part of its membership criteria, the LOLC Group along with over 8,700 members, is committed to aligning its business operations and strategies with ten universally accepted principles in the areas of Human Rights, Labour, Environment and Anti-Corruption. 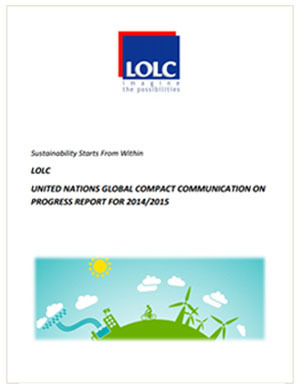 Periodic reviews of our progress are communicated via our Communication on Progress Report (COP). In March 2011 we submitted our first COP for the period covering 2009/10 to the UNGC network. 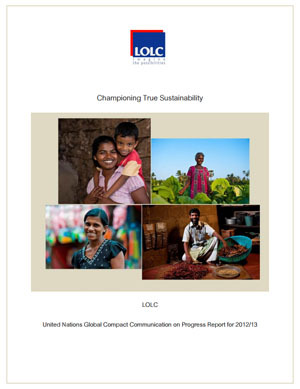 Although presenting this key COP report is a first for us, sustainable initiatives have been widely practiced in all LOLC’s core businesses since its early inception. Principle 1 - Businesses should support and respect the protection of internationally proclaimed human rights. Principle 2 - Make sure that they are not complicit in human rights abuses. Principle 3 - Businesses should uphold the freedom of association and recognition of the right to collective bargaining. Principle 4 - The elimination of all forms of forced and compulsory labour. Principle 6 - The elimination of discrimination in respect of employment and occupation. Principle 7 - Businesses are asked to support a precautionary approach to environmental challenges. Principle 8 - Undertake initiatives to promote greater environmental responsibility. Principle 10 Businesses should work against anti-corruption in all its forms, including extortion and bribery.